Technology has revolutionized the fundamentals of living and smart home technology has permeated the lives of certain classes of people to a significant extent. With the concept of smart homes comes the evolution of smart bathrooms, complete with digitally powered bath accessories such as towel and soap dispensers and automatic faucets. High-end residential and commercial establishments are now introducing battery powered bath accessories to attract their target customer base. The entry of Artificial Intelligence (AI) in smart bathrooms has created demand for intuitive battery powered bath accessories capable of providing increased performance efficiency and enhanced functionality. The future will witness the rise of intelligent bathroom applications with super intelligent bath accessories powered by advanced technology. This is expected to boost revenue growth of the global battery powered bath accessories market. According to a new report published by Persistence Market Research, revenue from the sales of battery powered bath accessories is projected to reach US$ 1,340.3 Mn by 2026 end. From a valuation of US$ 558.5 Mn estimated in 2018, this represents a growth rate of 11.6% during the eight year period from 2018 to 2026. Futuristic bathrooms will solely rest on design innovation, with manufacturers introducing next-gen bathrooms with advanced bath accessories. Digitization and the Internet of Things (IoT) will spearhead this innovation, with key bathroom functions capable of being controlled with intelligent operations through interconnected and integrated systems and components. For instance, a single IoT enabled switchboard can control the temperature and lighting inside a bathroom. The integration of IoT in bathroom accessories will help people track their heart rates, BMI, body fat, etc. This factor is expected to increase the demand for intelligent bathrooms with superior technology enabled bath accessories. 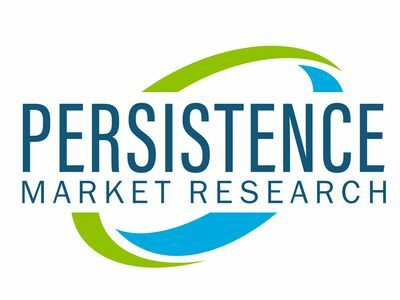 Persistence Market Research predicts increased revenue growth of the battery powered bath accessories market as a result. With rapid urbanization leading to an increase in global energy consumption, the need of the hour is the adoption of appliances and accessories that are easy on energy consumption levels. Battery powered bath accessories play a vital role in energy savings as compared to electrical bath accessories and several countries are moving towards smart bathrooms with smarter accessories to ensure stabilized energy costs. Enhanced energy cost savings is an important factor acting in favor of revenue growth in the global market for battery powered bath accessories. Batteries are an efficient source of energy and are preferred over standard AC power owing to their long life. This will create increased opportunities in the global market, as manufacturers start introducing advanced battery powered bath accessories with superior functionalities. Several interrelated factors are instrumental in leading to a sudden demand surge in the global market for battery powered bath accessories. Rapid industrialization in urban areas has resulted in mass migration from rural to urban areas across the world; which in turn has increased the disposable income of the people owing to an increase in the number of jobs created as a result of industrialization; this has enhanced the standard of living of people, who are preferring technology enabled products and applications that cater to their daily needs and provide more convenience and ease of use. A byproduct of urbanization is the increasing demand for residential and commercial spaces, leading to a growth in the global construction sector. These factors are anticipated to create substantial demand for battery powered bath accessories in the coming years. A growing awareness of good hygiene is also driving revenue in the battery powered bath accessories market. Battery powered bath accessories provide touch-free, automatic access to bathroom applications and products especially in public areas, thereby reducing the transfer of harmful bacteria and in turn helping maintain hygiene levels. Persistence Market Research predicts the demand for battery powered bath accessories to increase across commercial establishments owing to the hygiene benefits associated with battery operated bathroom accessories.